Um...how did I not know about this? Clearly, I have been living under a rock. I'm ashamed. I can already tell this is going to be a problem. I just looked up from my computer screen for the first time in...three hours. I may have entered some sort of virtual shopping black hole time warp thing. My neck is incredibly sore, and I'm not 100% sure I've even been breathing. Sounds like fun, right?! 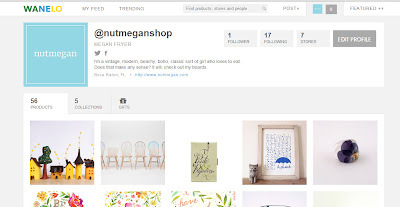 Come check out Wanelo, and follow me!